I've been playing with my clear jelly stamper again. I'm getting more used to it and am getting much better results. I wanted to try out this two toned look to really use the clear stamper to it's maximum potential. What I mean by that is that I wanted to stamp something where placement was really important. 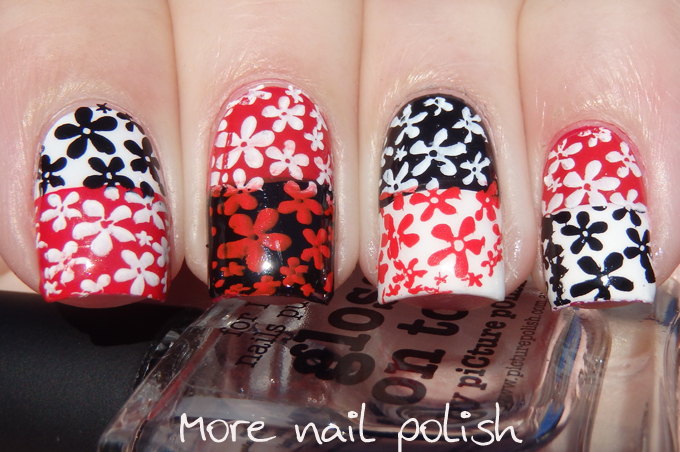 I created the look by painting my nails in different combinations of red, black and white in a half and half look. 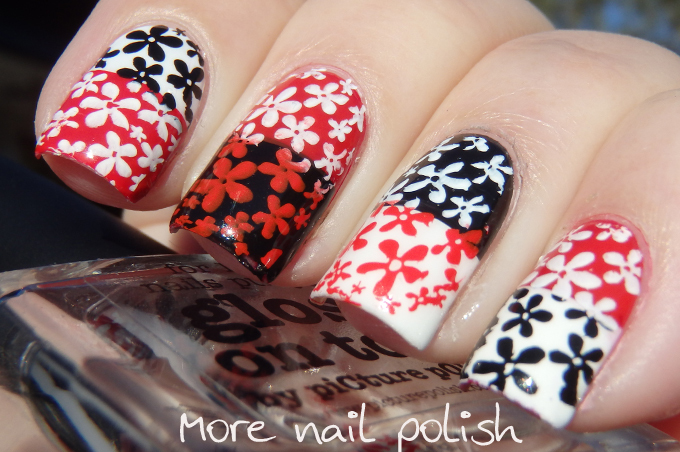 I then did two tone stamping in contrasting colours over the top. This look is really easily achieved if you tape off sections of your nail, but this mani was done with no tape and each finger was stamped in one go. It made this complex looking design much quicker to create. Make sure you scroll down to see a quick video of how I did this. 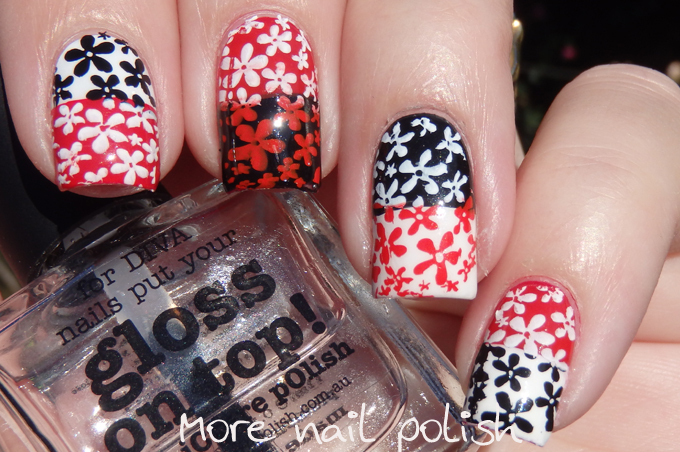 The stamping image I used was from DRK XL Designer 1 plate. I love this plate so much. There are so many gorgeous areas of the plate to choose from. 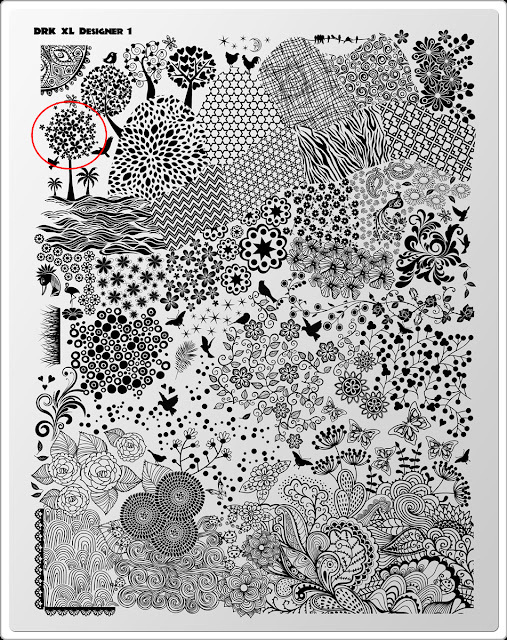 I can't wait to use those flowers and leaves down the bottom left and there are so many options to create stamping decals or do reverse stamping. 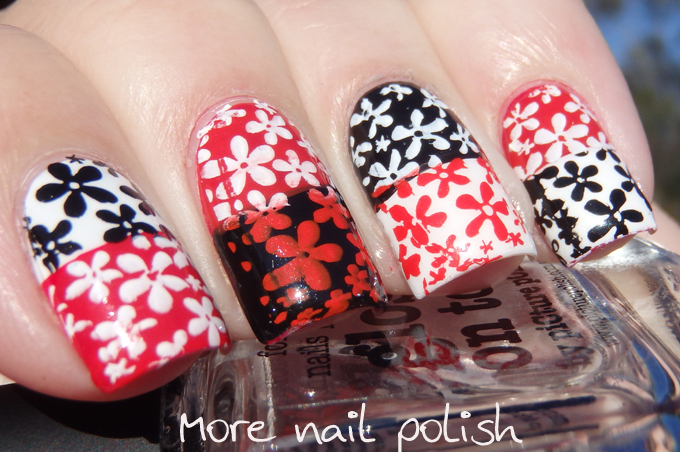 The DRK Seasons plate is available from the DRK Nails website. Plate provided for review, polish and stamper purchased by me.